2D Runner is a free adventure game for Windows 8 and 8.1 computers. 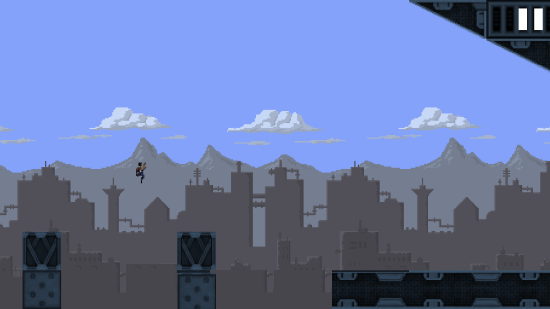 Hungry Pixel has released this lite and adventurous game as an infinite runner. This is one of the most challenging endless running game for Windows 8. Just keep running, avoid the obstacles, jump over roofs, and see how much you can run without a stop. The visuals are impressive, and the 2D running guy looks like an 8 bit game character. This adventure game for Windows 8 gets addictive as you play it. Go to the Windows App Store to Install this game. Search for it in the search bar. This adventure game for Windows 8 only occupies 11.7 MB on your computer. Click the link at the end of this article to land on the Game page directly. 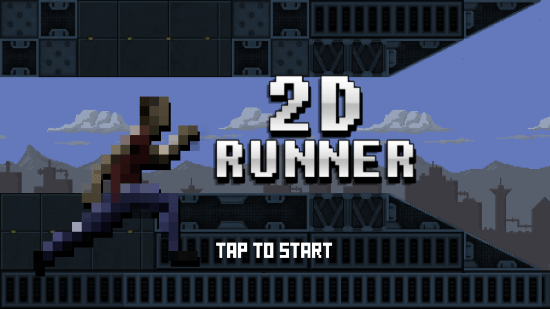 Click Install on the game page to automatically download and install 2D Runner. Playing this adventure game for Windows 8 is pretty simple. You just need to tap on the screen if you have a Windows Tablet, or click with your mouse if you are on PC. 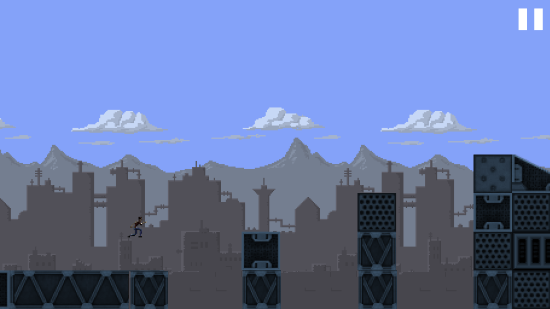 This game is all about jumping over obstacles while you run, and be precise about your timings. Tap To Start playing this adventure game for Windows 8. You have to jump over obstacles, and cross them to proceed further. If you hit an obstacle the game ends. Apart from obstacles, you will also find dangerous gaps and pillars. 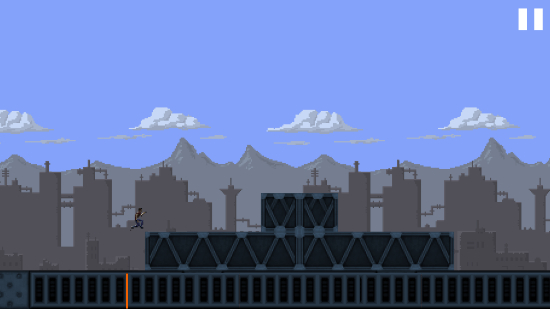 You have to be very precise to jump over the gaps, because the game ends once you fall down. This is not it, you will find other dangerous obstacles as you move forward. First appears the sharp spikes. These spikes are a threat so try to stay away from them. You will also face spiral saw and other threatening obstacles. When the game ends, the screen displays the current distance traveled in meters. You will also see the best score right below the current score. Exit the game, or hit Restart to continue play this adventure game for Windows 8. Well, this is a very simple, but entertaining game. The graphic is decent, so is the sound effect. The obstacles keep getting tougher, making the gameplay more intense as you play this adventure game for Windows 8. 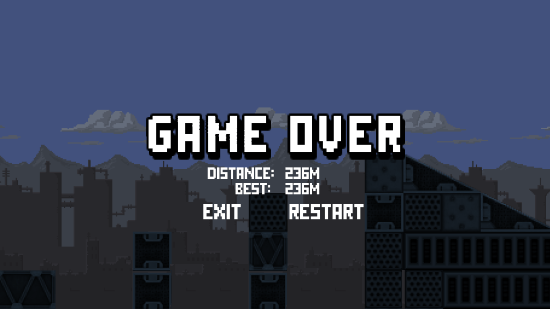 Go get 2D Runner for your PC today, play it with your friends, and beat eat other’s high scores.